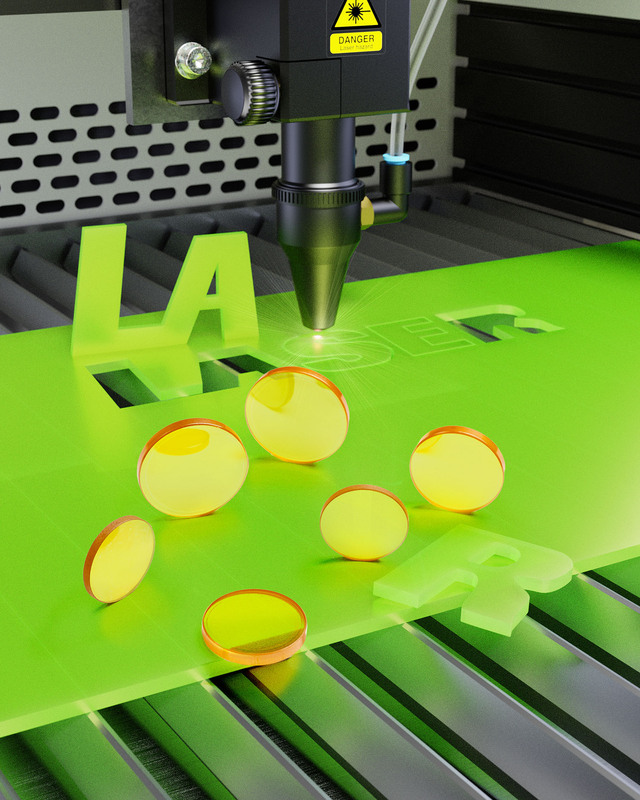 A line of CO2 laser lenses that are offered in a variety of focal lengths to optimize the cutting and etching of acrylic plastic signs is available from Laser Research Optics of Providence, Rhode Island. Laser Research CO2 Lenses come in short focal lengths for making precise cuts on thinner materials and in longer focal lengths for deeper cuts on thicker materials to meet exact user requirements. Featuring focal lengths from 1-1/2” to 4” in 1/2” increments, they are optimized for 10.6 microns and conform to OEM and ISO-10110 specifications for optical elements. Shipped from stock within 24-hours, Laser Research CO2 Lenses are A/R coated and dual-band coatings are available to aid in system alignment. They are drop-in field replacements for popular lasers used for cutting and engraving plastics including Epilog®, Kern®, Trotec®, and Universal®. Laser mirrors are also offered made from copper and silicon 1/2” to 10 mm thick. Laser Research CO2 Laser Lenses are priced according to type, configuration, and quantity. Delivery is from stock within 24-hours.